Dedicated to Lord Shiva, Indreshwar Temple is a beautifully carved stone temple at Indore in Madhya Pradesh. It is located on the ‘sangam’ (confluence) of Khan and Saraswati rivers in Juni Indore. 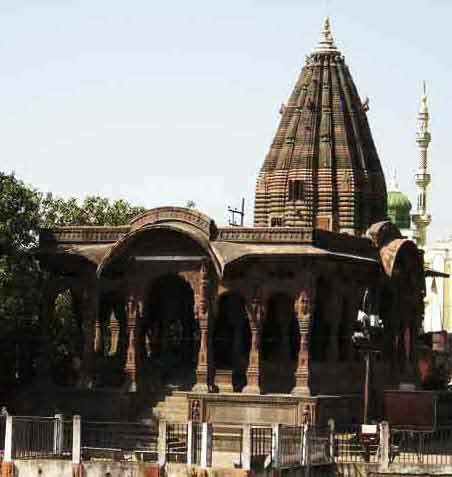 The city of Indore derived its name from this ancient temple. The shrine was constructed by the Holkars and it is associated with luck and prosperity. The deity is also known as Sangamnath. Shiva is worshipped here in the form of a Shivling. Indreshwar Mahadev is one who is the ruler of Indriyas or the senses.